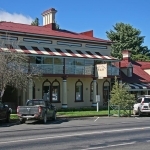 A short drive from Beechworth through lovely bushland, complete with wallabies and kangaroos is L’Oliveraie. 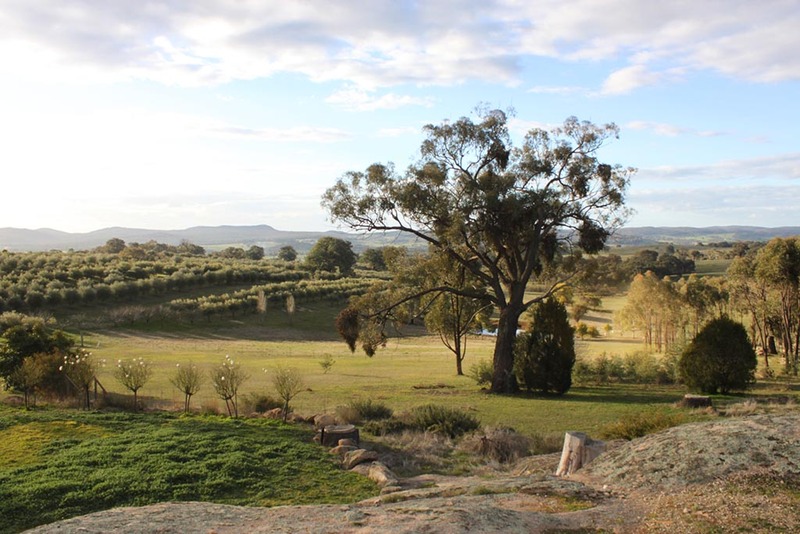 L’Oliveraie is a family olive grove of 61 acres on the outskirts of the charming town of Beechworth, within walking distance to the Beechworth mountain bike park. 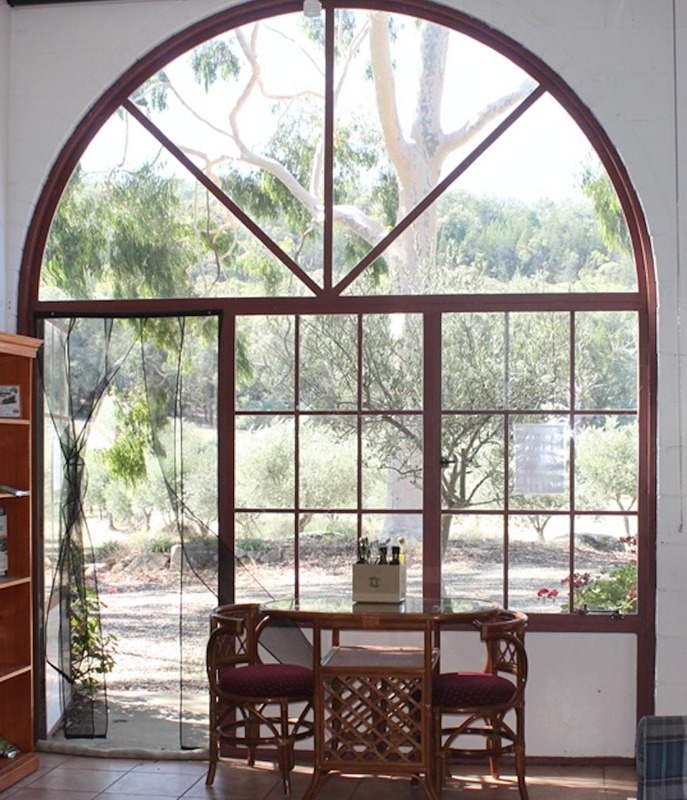 The Farm serves as not only a stunning accommodation choice, but also wedding and function venue, as well as a Farm Gate for Olive Oil Sales, Tasting and Farm tours. 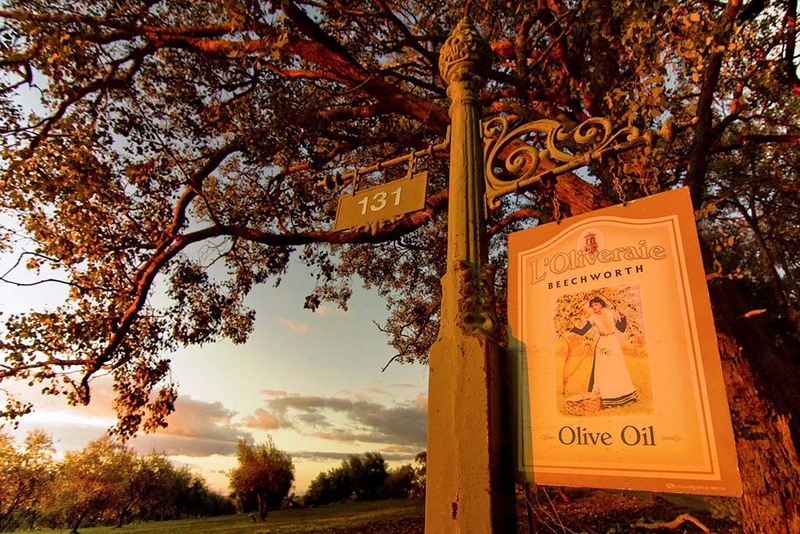 L’Oliveraie is a truly special pocket of Beechworth that has made it’s way into many visitor’s hearts. 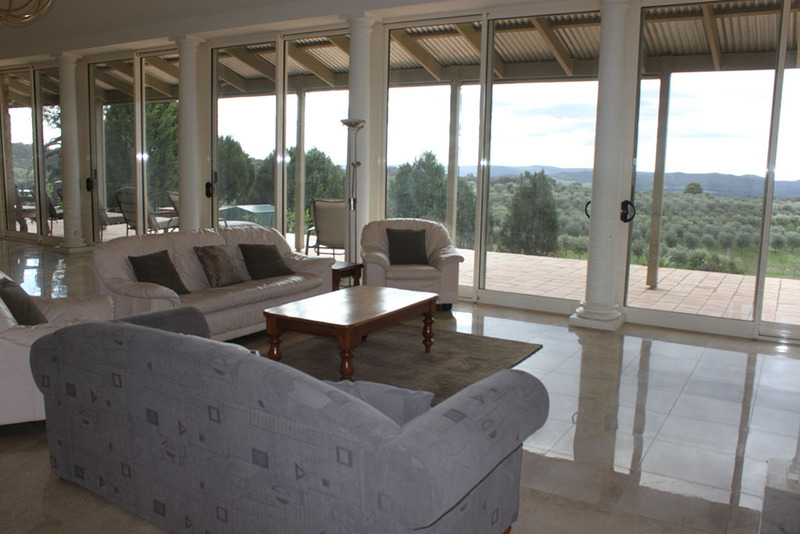 The ‘Black Olive’ homestead is a elegant residence, not just an ordinary farm house. 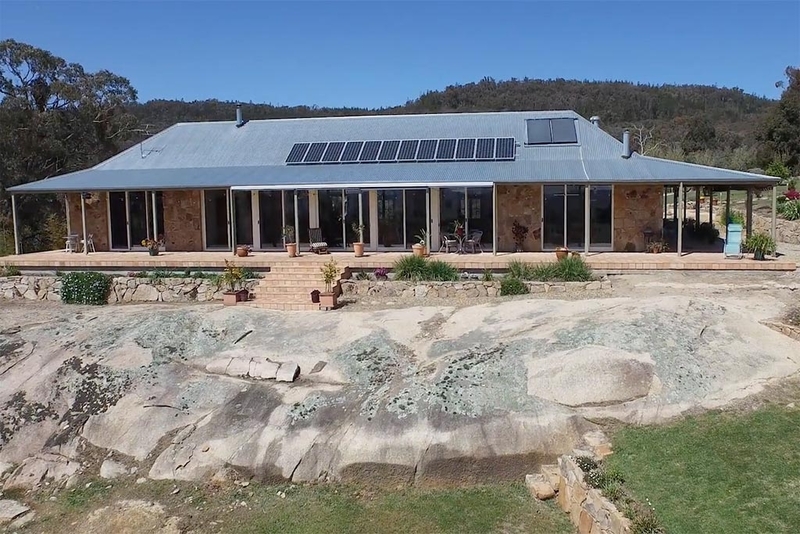 The house is built from granite stone with a wrap around verandah to take in the stunning views. There are large spaces inside and out, without comprising its homeliness. The residence has 4 large bedrooms, 3 bathrooms and additional powder room, with an externally accessed fifth bedroom if needed. It can provide the romantic getaway for a couple, the space for a family, or the capacity to sleep 22 guests for large groups. Cot and Porta cot available on request. 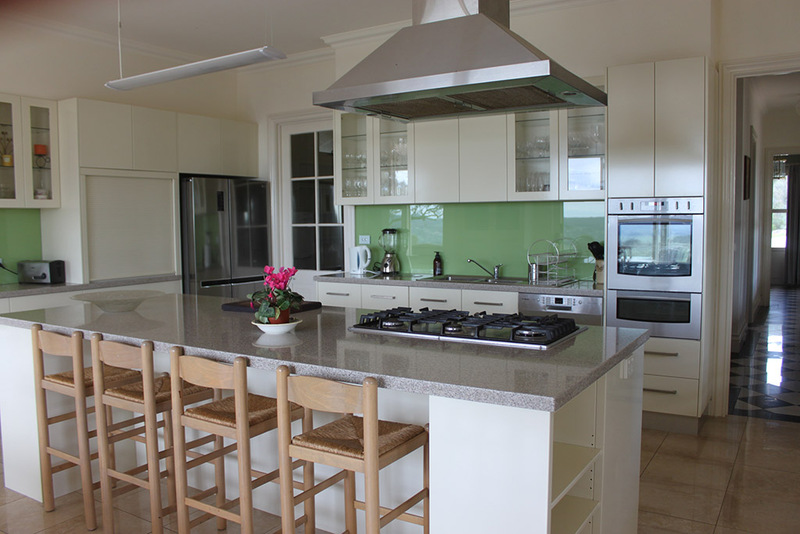 It has a large modern fully equipped kitchen, with many tables inside and out for dining and enjoying the views. There are wood heaters to get roaring in winter, or fans, ducted and split system for cooling and heating. Free WIFI is also available. The expansive outdoor entertaining areas have BBQ facilities and are most inviting to retreat to. Located by the house is a large carport for parking and bike storage. Surrounded by olive trees, if not for the plentiful Australian animal and bird life, you could almost imagine you are in Italy or France. 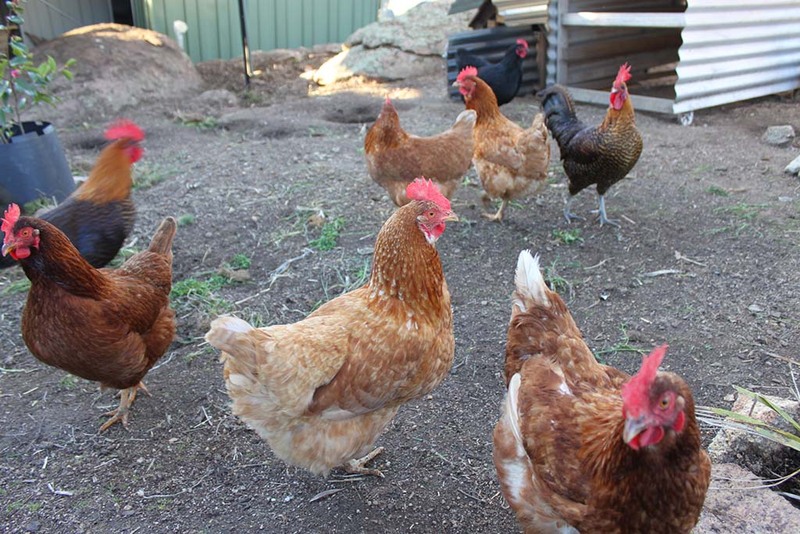 Farm animals are also a plenty. Meet Hank the Alpaca and his herd of goats or say hello to the chickens. 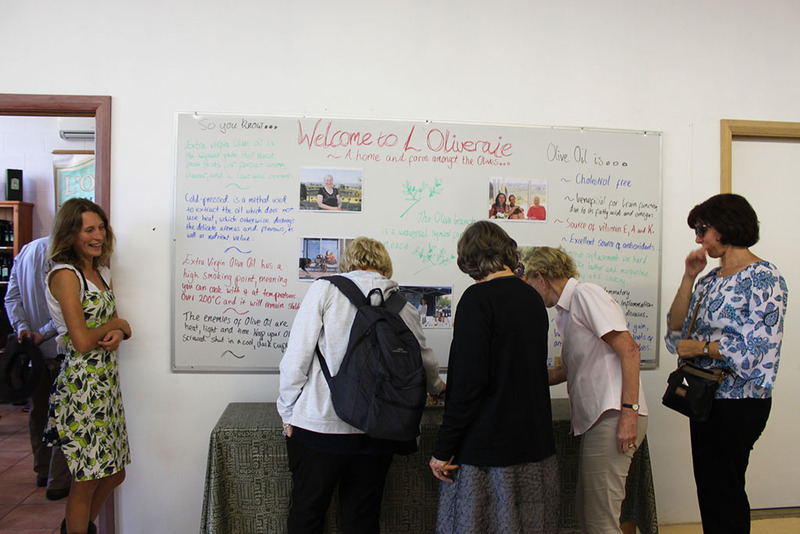 Take an olive farm tour and visit the shop to sample L’Oliveraie’s products. Go for a pedal down to the mountain bike park. Sit back and take in the glorious morning and dusk views. Enjoy. The native and floral gardens of L’Oliveraie provide endless possibilities for your special day. There are sweeping vistas of the olive grove and gardens, granite outcrops and the large granite homestead to serve as a stunning backdrop for your celebration. The versatile property with an almost Mediterranean feel, is venue only, giving you the freedom to create your own personalised and individual celebration. Luxury Farm-Stay accomodation available in the ‘Black Olive’. The combination of accommodation and the never-ending choices for ceremony and reception locations on the property, accompanied by the beautiful panoramic views, make L’Oliveraie the one of a kind venue for your wedding, that you and your guests will always remember. We are also an inspiring venue for work training weekends and other functions. L’Oliveraie, is an olive grove in paradise. A family farm, run by Monika and her two daughters, L’Oliveraie provides quality local olive oil and products to families, businesses, restaurants and other patrons in the North East. 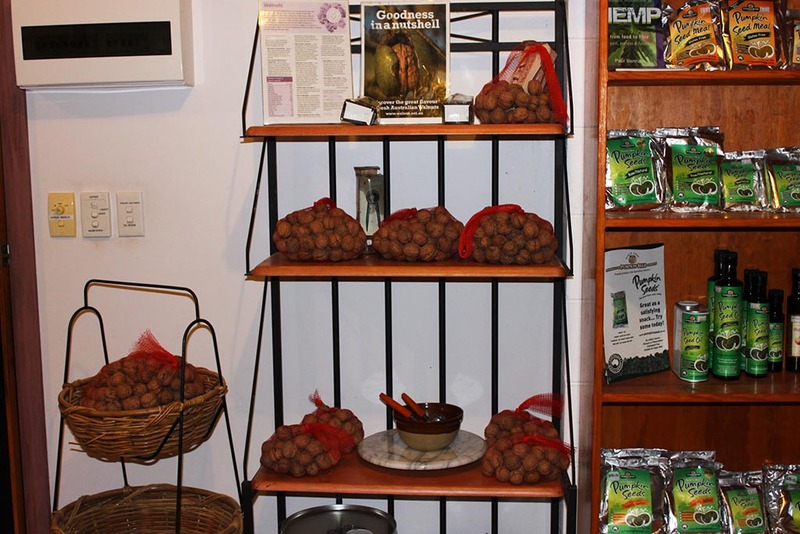 The property follows organic principles and strictly uses NO chemicals or sprays. Everything is done by the family from harvesting to pressing, to labelling to bottling, and to selling. 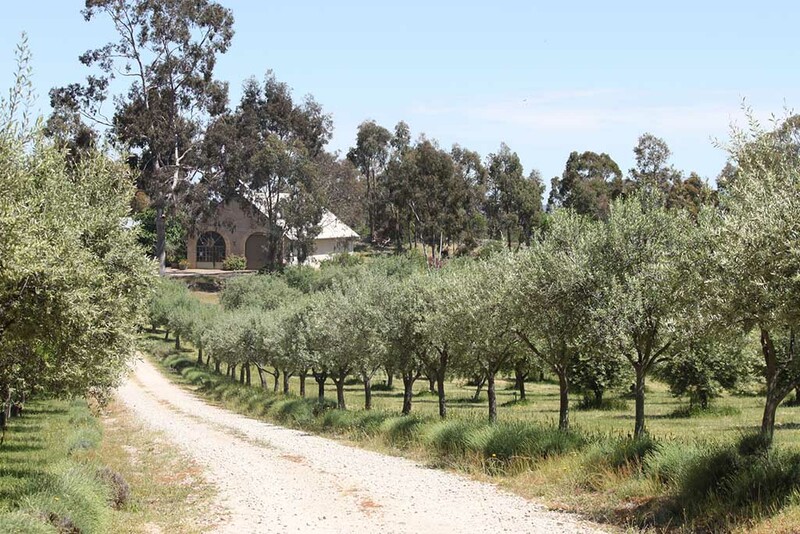 The Olive Grove itself consists of over 2700 trees and produces outstanding quality extra virgin cold pressed olive oil, table olives and olive products. There are olive oils of various varieties, each with their own flavour for regular salad and cooking use, as well as the beloved ‘Agrumato’ range- lime, kaffir lime and garlic. The table olives are to die for, available in salt brine, or marinated in olive oil, with various scrumptious herb and spice combinations. 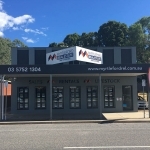 The farm gate also sells the popular Pumpkin Seed Products from Ovens near Myrtleford and walnuts from Goulburn Valley Walnuts, in shell or kernels. Seasonally, there is also other produce available such as lemons, limes and quinces. 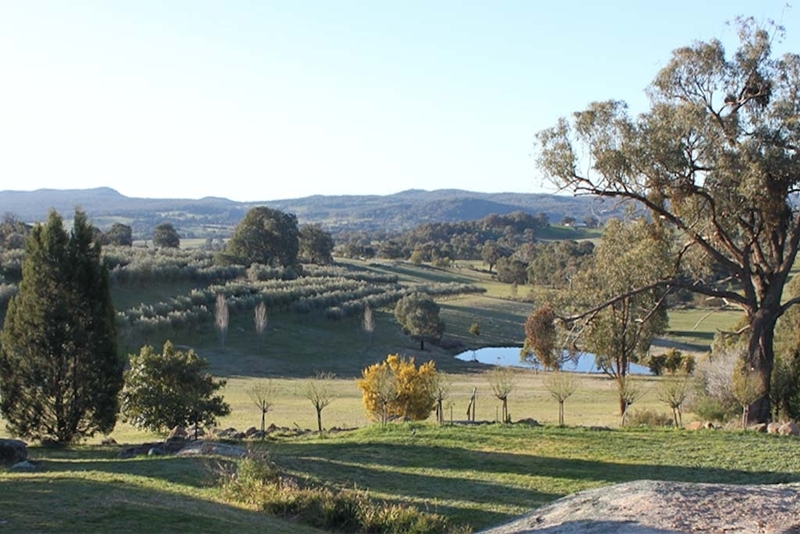 Farm tours are also available of the grove, with spectacular views and photographing opportunities. The tour also includes the olive processing shed where the magic happens, with the farm pressing all its olives on site. 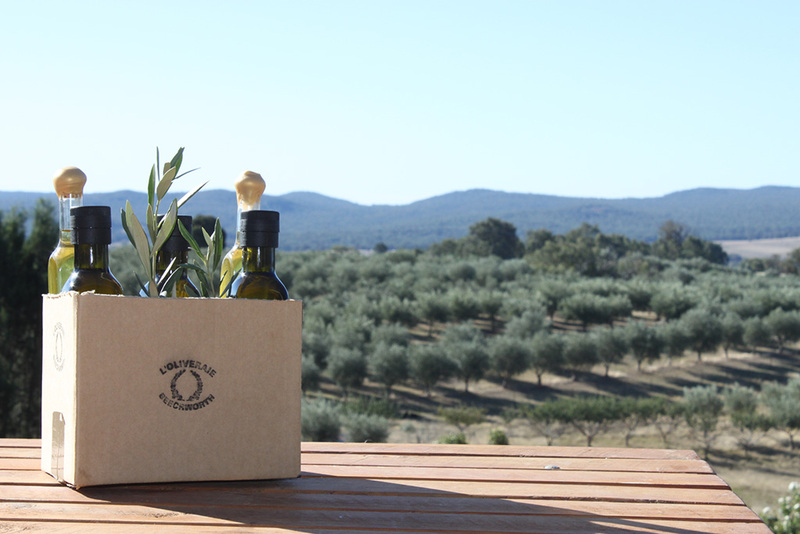 L’Oliveraie is committed to providing olive oil and products which are yummy, sustainable, healthy and truly local. 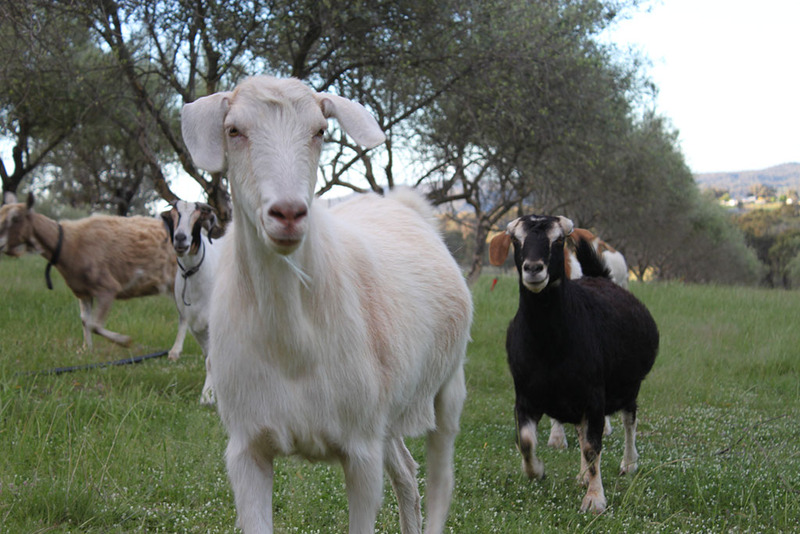 The farm is open to visitors by appointment.